Roof damage has been a popular subject in our blog directory. 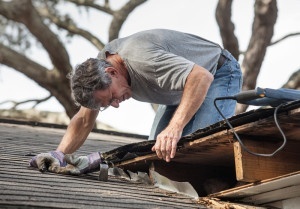 Whether we’re referring to the depth of damage that can potentially happen due to neglect and lack of standard roof maintenance, damaged caused by severe weather conditions, or regarding roof damage brought on naturally by old age and normal wear and tear. But we have not spent much time discussing the damages to your roof that are brought on by excessively high temperatures and sweltering summer weather conditions. As we near the end of July, warmer days are becoming a trend and as wonderful as an increase temps may seem, heat damage to your home’s more prized asset is never far behind. When it comes to managing the heat that enters your attic or beats down on your shingles, remember one word: ventilation. Often, it’s not the hot temperatures alone that cause heat damage to your roof, but the lack of proper ventilation. Heat from inside your home is not getting vented, thus keeping your home’s attic and roof hot for extended periods time. But during seasons of high temperature, it might be hard to distinguish between regularly hot weather conditions and “so hot your shingles are like to melt” temperatures. So it’s important to learn the signs of heat damage. Staying proactive against heat damage is critical due to the inconsistency in temperatures throughout the year. So how exactly can you keep an entire attic cool? Well, there are a variety of attic ventilation practices. One option includes insulating your attic and ensuring that the area is properly sealed to eliminate heat transfer throughout the house. Another option you may want to consider is having an attic fan installed to help draw in cool air from the outside into the attic and push hot air back out. Make sure that your attic is well sealed because a poor sealing job will actually have an opposite effect and spike the temperature in your attic and ultimately damage your roof. Keeping your roof cool, ventilated, and well sealed will increase your home’s energy efficiency, saving you tons on air conditioning and energy costs.